Even the bubbles as fake snow is heart warming and awesome. We’ve always loved the Osborne Family Spectacle of Lights at Disney World’s Hollywood Studios. Its an amazing spectacle which enormity is very hard to describe. Disney got the largest and most elaborate USA Christmas light display from the Osborn family who live in Arkansas. Each Christmas season they set up over 200,000 lights in a block of buildings. Then every 10 minutes the lights dim and a spectacular light show starts with holiday music in the background. There are even 3-d effects. It runs from 6pm during the holiday season. 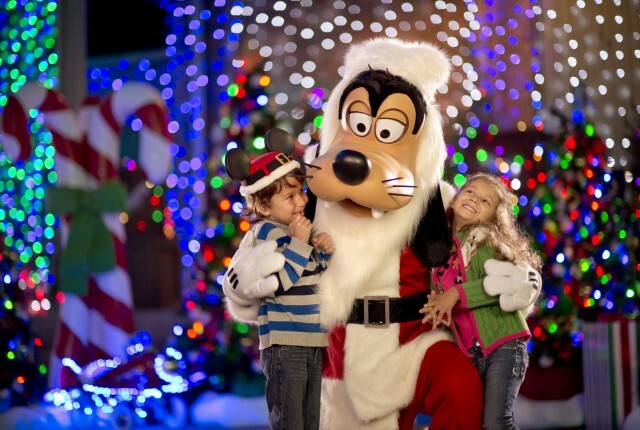 This entry was posted in Theme Parks and tagged Disney World, Osborne Family Lights Christmas. Bookmark the permalink.